Surely we all know about the boom in 3D printing. We run a feature here at Techfaster called 3DFaster which highlights some of the trends in the exciting, and exploding 3D Printing Industry. Our good friends at 3DLT provide industry insight into the world of 3D printing. You probably see and hear about 3D printers all of the time. You may own one or maybe you’ve printed something on one. For those not in the know, 3D printing works by extruding and laying out filament to build whatever the 3D printed item is that the creator has sent to the printer. But until now, it’s always been a one color process. Or at least a one color at a time process. Felix Chan, an engineer in the UK has created the first 3D printer that uses the four color CMYK process that fueled the traditional printing industry for decades now. CMYK stands for Cyan, Magenta, Yellow Key. It’s a process that takes Cyan, Magenta and Yellow and from those three primary colors, creates an amazing color palette used to print in all kinds of traditional printers. It’s all done through color mixing, a process Chan was sure he and his team could bring to a 3D printer. 1. 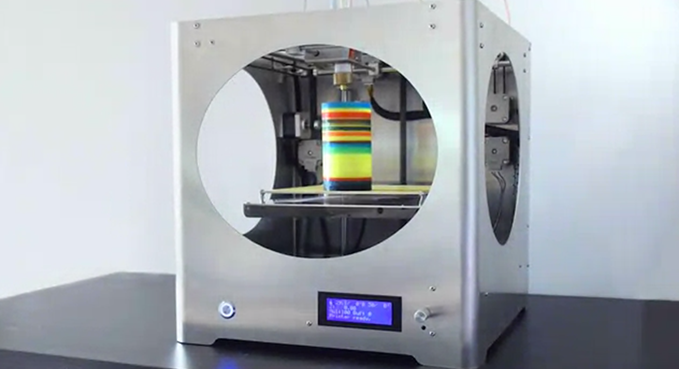 The first truly 4 colors blending 3D printer. 2. Unique color blending hot-end extruder: provide accurate color blending. 3. Unique compact design, laser-cut cold-end extruders (4 units): ensure powerful and accurate filament delivery for 3D printing. 4. Original design Dual Building Platform with heat-bed: Platform 1 – MK3 Aluminium heat-bed. Platform 2 – 2mm laser-cut aluminium platform for large PLA printing (250 x 250 mm). 5. Special design electronics board: with 7 drivers to control 7 stepper motors. 7. Laser-cut Aluminium casing: to accommodate 7 stepper motors with a compact design, we use 2mm laser-cut brushed aluminium to ensure a stable framework for printing. 8. 0.4mm & 0.8mm dia. nozzles: the first 3D printer provide 0.8mm nozzles to enable extreme speed printing. The 3D4C printer can do that because it has a solid framework and accurate filament delivery system. All 3D4C printers come with 2 nozzles for different applications. 9. Seamless original design: to make a good product, you not just need a bright idea, but also a well thought original design. We think out of the box by using materials and manufacturing technique which no current manufacturers are using, and thus be able to make a high performance cool design. 10. 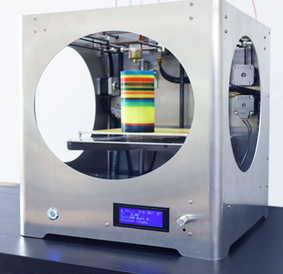 Thanks to the original design, the 3D4C is the cheapest color 3D printer ( even compare to 2 color printers ) available in the market. You can check out the 3D4C 3D printer here at 3d4c.net.